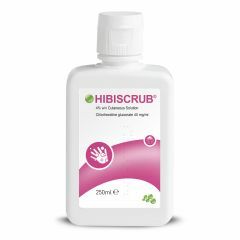 Hibiscrub Skin Cleanser is a powerful antiseptic solution effective for general skin cleansing. 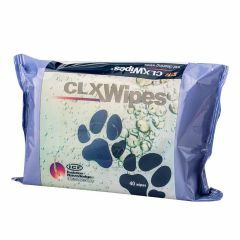 CLX Wipes are suitable for both cats and dogs for daily cleaning of the pads, the interdigital spaces and skin folds, helping to keep your pet clean and eliminate bad odours. 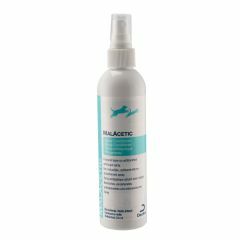 Sebolytic Shampoo is an exfoliating medicated shampoo developed for dogs and cats with severe scaly and greasy skin conditions, with the addition of tea tree oil to extend its soothing properties. 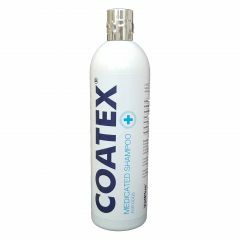 Coatex Medicated Shampoo is a gentle yet effective shampoo for use in a variety of situations under the guidance of a vet. 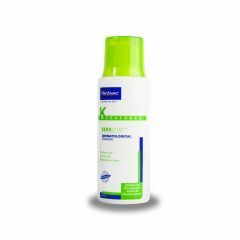 It contains unique anti-bacterial and yeast fighting properties to help control skin problems. 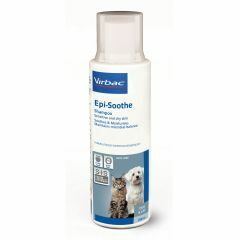 Epi-soothe is a soap-free, hypoallergenic shampoo for dogs and cats to help control and relieve itching. 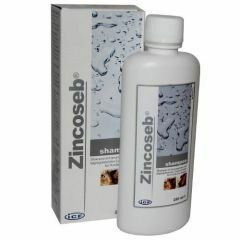 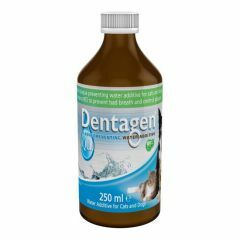 It is ideal for animals that require regular cleansing but have a tendency to suffer from irritated or sensitive skin. 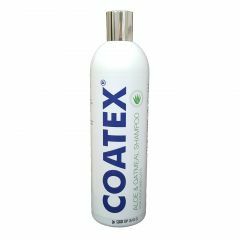 Coatex Aloe/Oatmeal Shampoo is an all purpose shampoo that is excellent for dry and itchy skin in cats and dogs.The Shampoo works particularly well with long haired breeds and thick coated as it helps to detangle the coat. 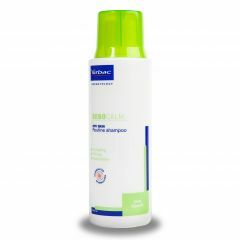 Sebocalm Dry Skin Shampoo is a hypo-allergenic, soothing, soap free, lemon scented shampoo used to control itching in dogs and cats. 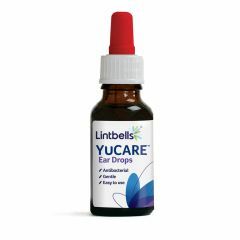 YuCARE Ear Drops are antibacterial, gentle and an easy and effective way to clean ears and treat ear problems. 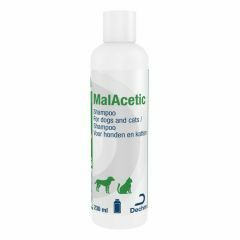 MalAcetic Shampoo is a natural antibacterial, antifungal, soap-free and pH balanced shampoo designed to help maintain skin health where there is a microbial imbalance. 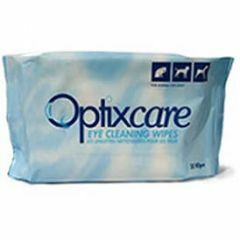 Optixcare Eye Cleaning Wipes are moist soothing wipes that should be used for the effective removal of Ocular secretion, sticky muscus and crusty debris around the eyes. 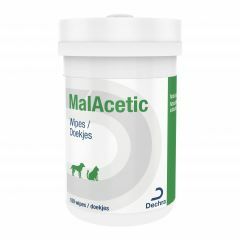 If your dog suffers from fleas and ticks, the Animology Flea and Tick shampoo is ideal. 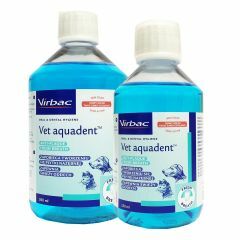 It helps to remove fleas and ticks, soothe skin irritation and is suitable for all varieties of coat types. 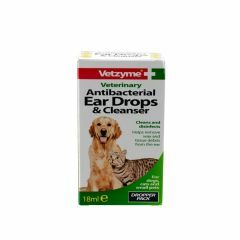 Etiderm is a pleasantly-scented, hypoallergenic antibacterial shampoo designed to help control surface bacteria on the skin of dogs and cats. 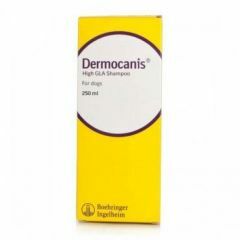 Dermocanis High GLA Shampoo is a high GLA, essential fatty acid, conditioning shampoo designed to produce a healthy skin and coat in dogs. 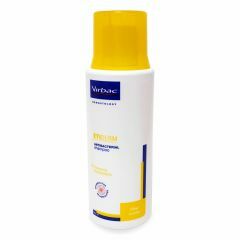 The shampoo's special formulation has excellent cleansing, soothing and moisturising properties for dry skin. 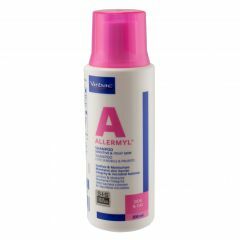 Vetzyme Antibacterial Ear Drops and Cleanser is a safe and effective way to disinfect and remove wax and debris from around your pet's ear.